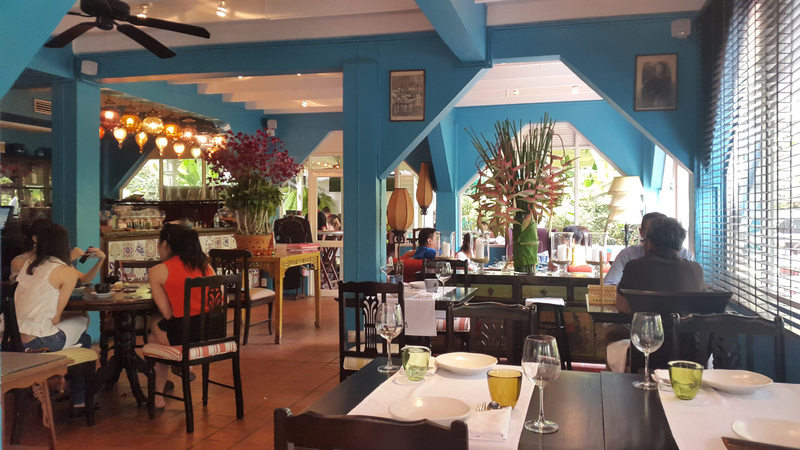 Issaya Siamese Club Bangkok , Stunning Thai food in a beautiful restaurant. 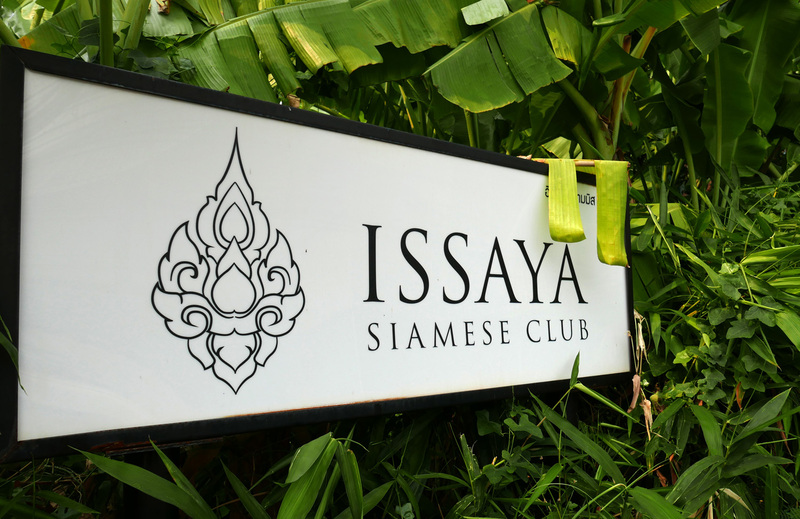 Issaya Siamese club , currently sits at number 39 on the list of `Best restaurants in Asia 2015`. 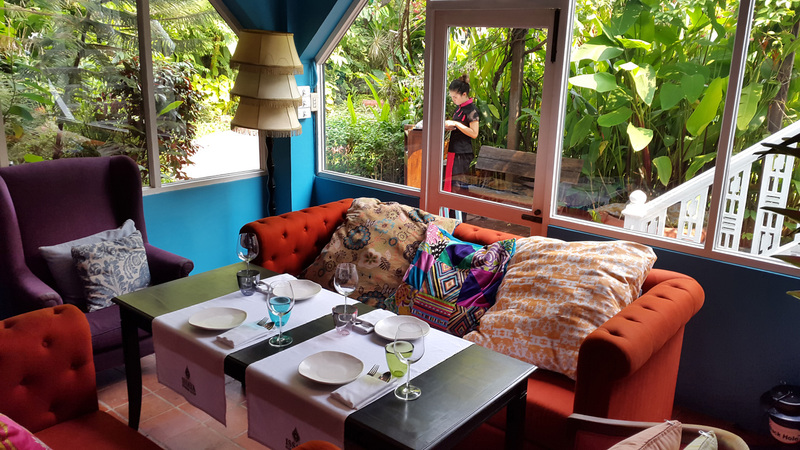 I`ve been to Bangkok many times and this was my first visit to Issaya.Suitably impressed i`ll certainly be back for more as soon as possible. 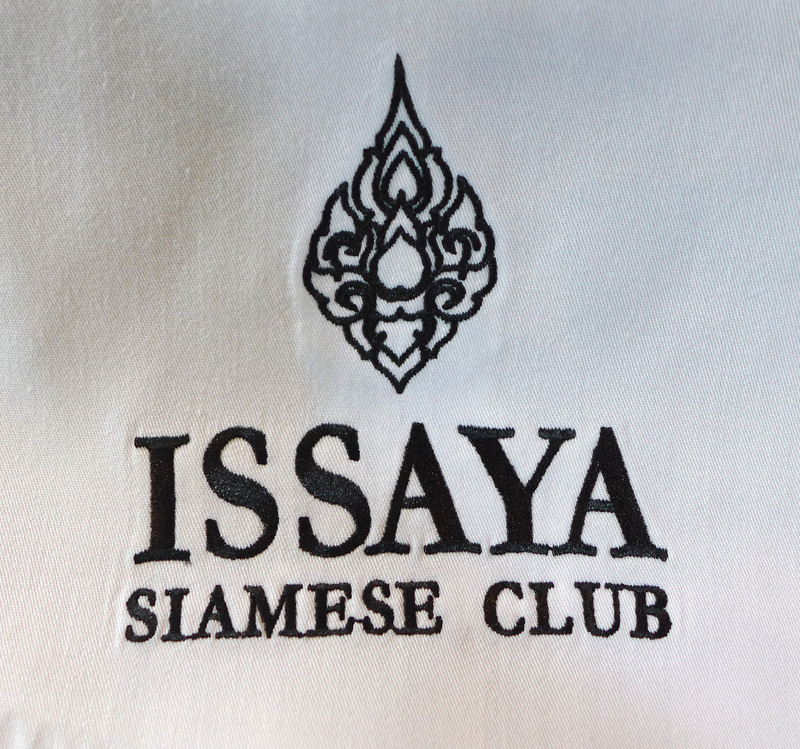 My stay in Bangkok was only a quickie before heading off to Chiang mai so I booked into Issaya for lunch. It`s a really good menu with lots of choices. One of those menus with so many dishes that it`s impossible to choose as they all sound totally wonderful but I decided to go for the Tasting menu to see what the place was all about. 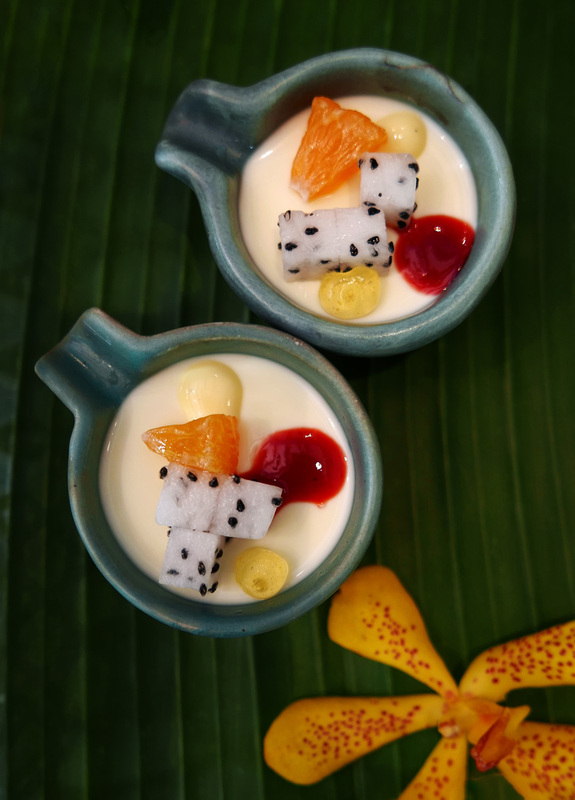 My meal consisted of a number of courses served together in traditional Thai style at 2,500 baht ( £49 ) showcasing chef Ian Kittichai`s cooking and the use of some premier Thai produce. 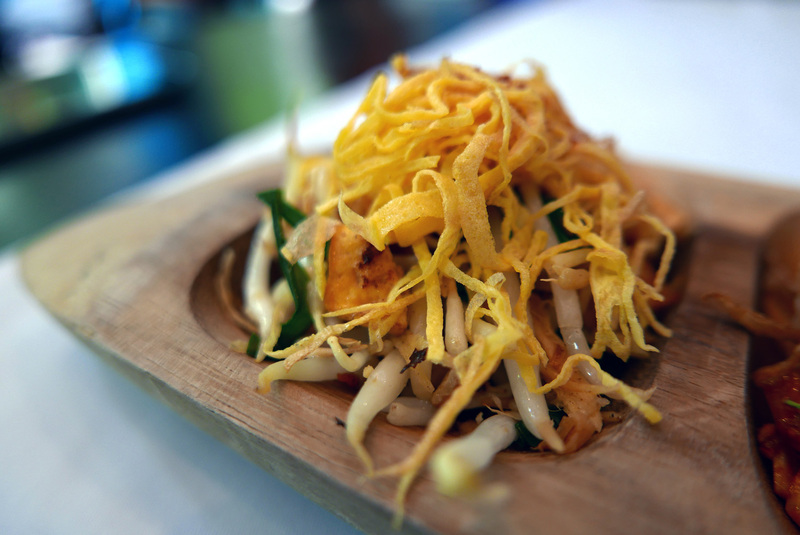 There`s also a set menu at 1500 baht ( £30) and the extensive a la carte which is individually priced. 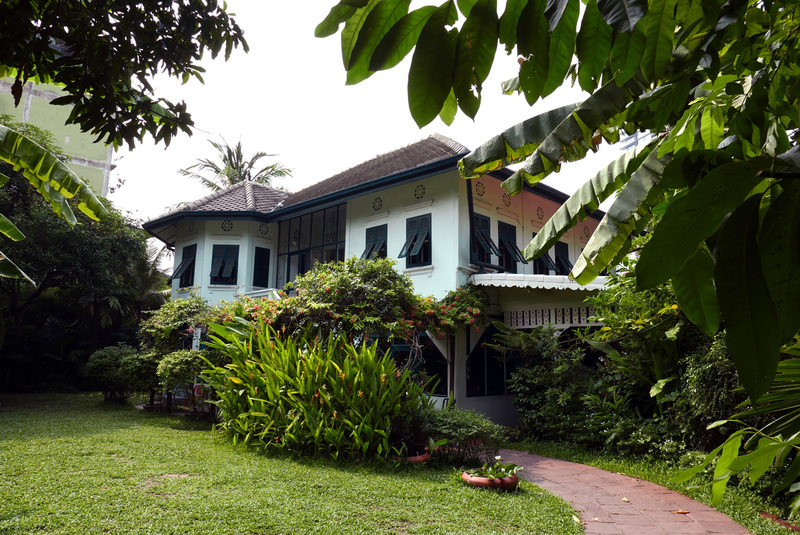 The word “ Issaya “ is an ancient Thai word meaning “ Rainy season “. 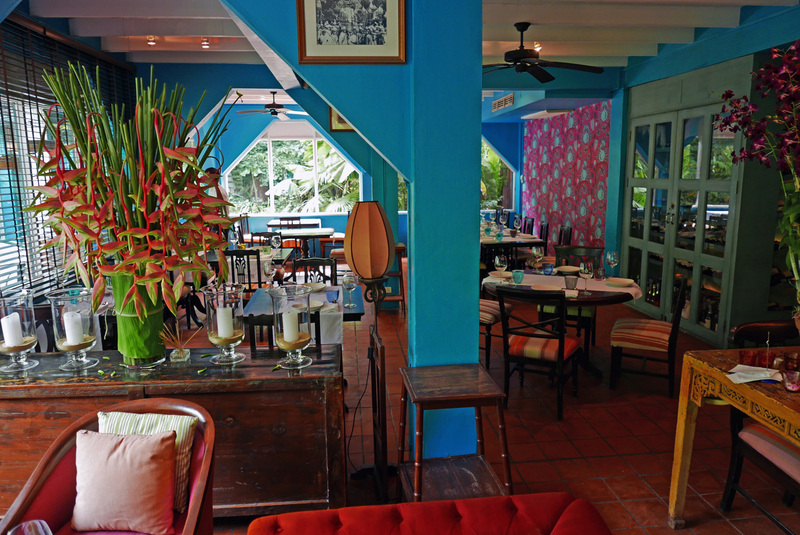 The lush greenery of the restaurants gardens reflect Thailands rainy season.So to pay homage to that beautiful rainy part of the year the owners decided to name the restaurant after this.The restaurant design is modelled on that of an old school members club and chef Kittichais menus reflect on his own personal journey and upbringing around food , hanging out at the markets and the cooking of the produce with his mother. 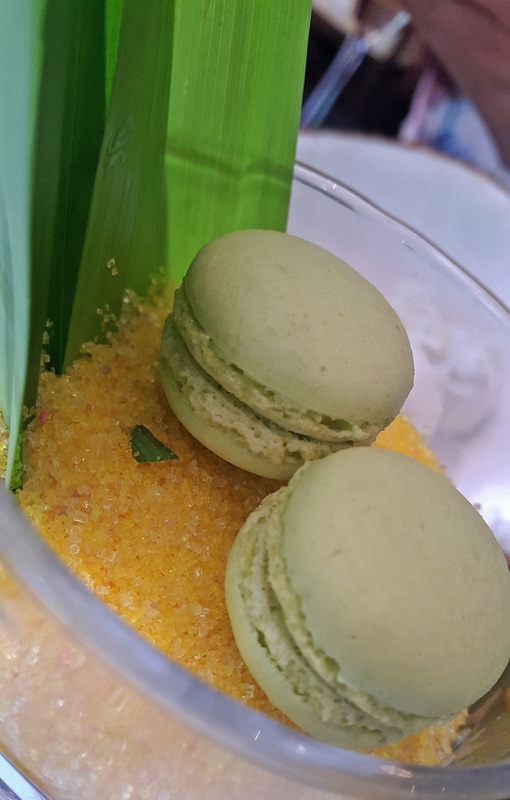 The ingredients at Issaya are the true stars of the cuisine here. 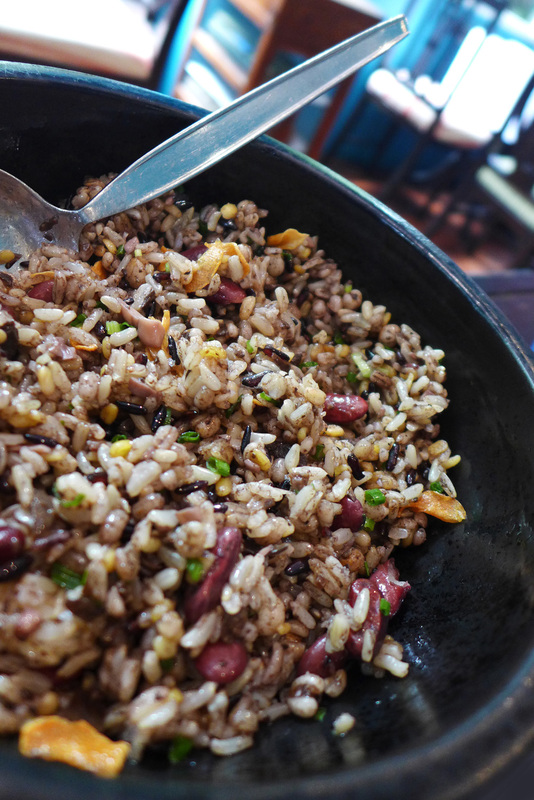 They`re sourced from the local markets and are Organic and as fresh as possible to produce chef Kittichai`s seasonal , innovative and traditional signature dishes and menus. 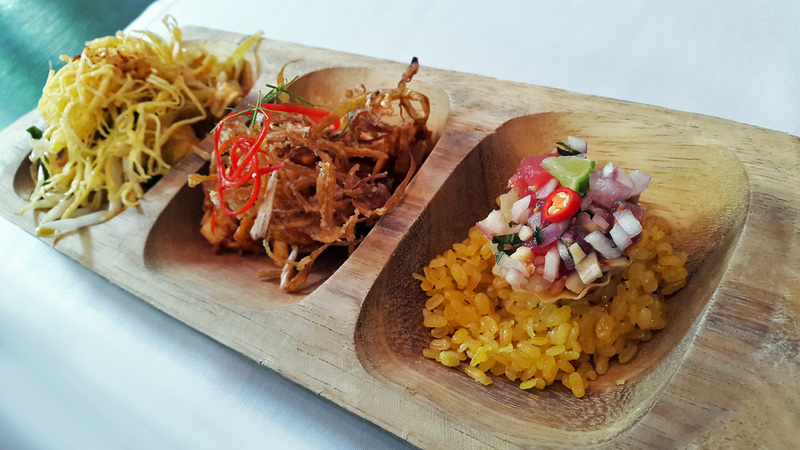 The tasting menu started off with 3 tasting dishes – Banana blossom and heart of Palm salad , crispy Shallots and roasted Peanuts in a Chilli jam dressing / Tuna tartare Thai style / Crispy rice pancake with pulled “turmeric” chicken ,Beansprouts and Coconut. 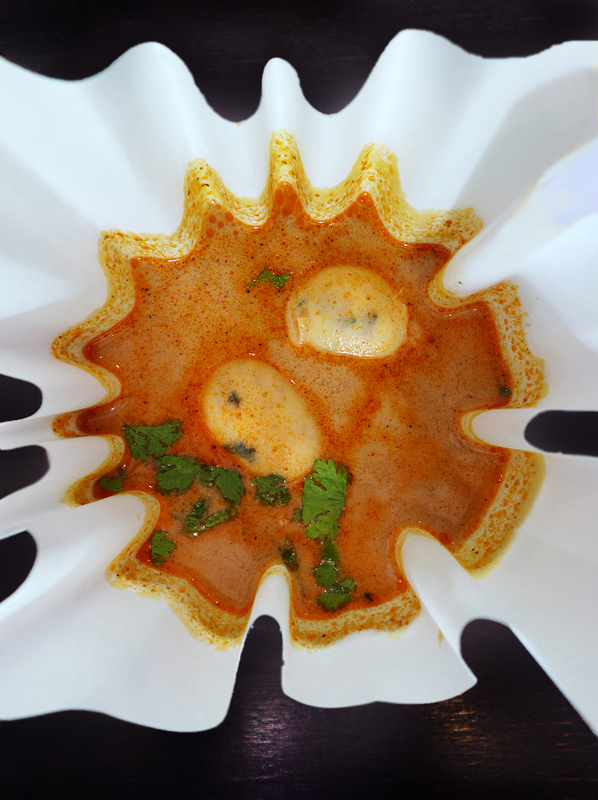 House made fresh Shellfish sausage with a Hua Hin style seafood broth. 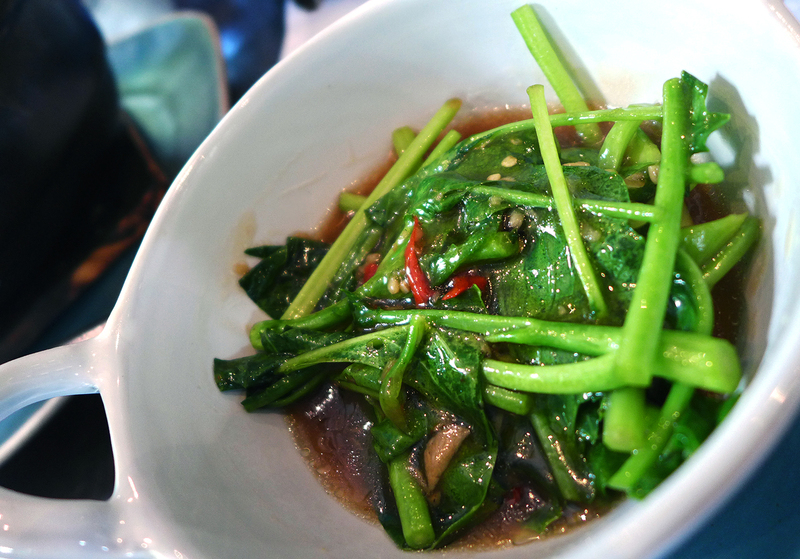 Grilled imported tender Beef , fresh herbs , Organic vegetables in a charred birds eye Chilli vinaigrette. 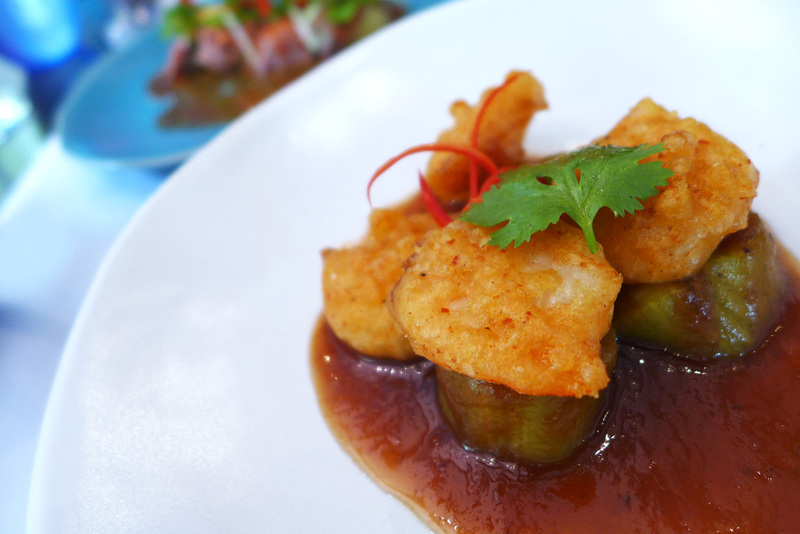 Crispy harbour Shrimps , Melting Eggplant and hard boiled Eggs with Chilli Tamarind dressing. 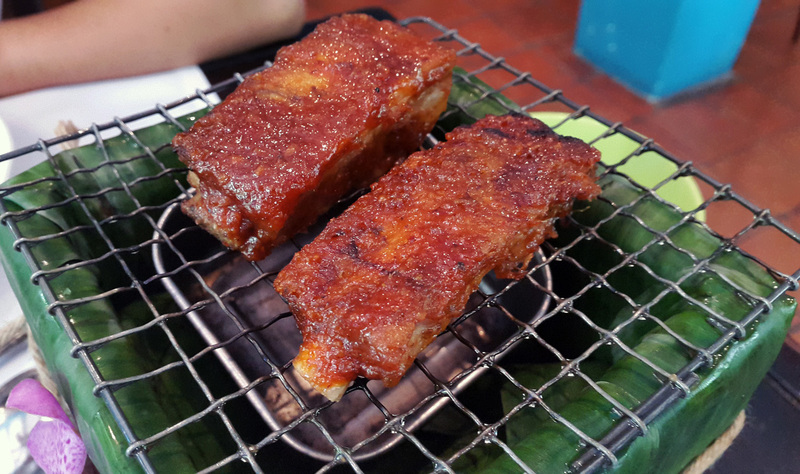 Spice rubbed baby Pork back ribs , glazed with Issaya house blended Chilli paste. 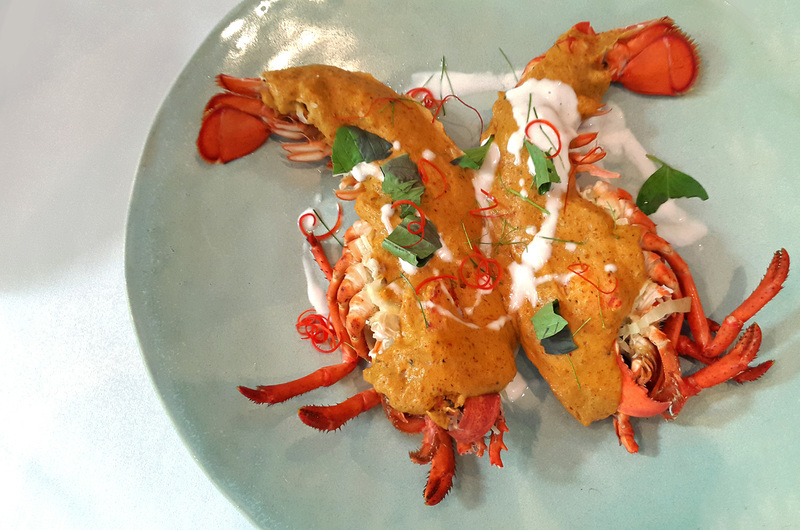 Steamed whole Maine Lobster with Lobster Curry Custard , fresh Coconut milk and sweet Basil….I`ll definitely go back for this one again. 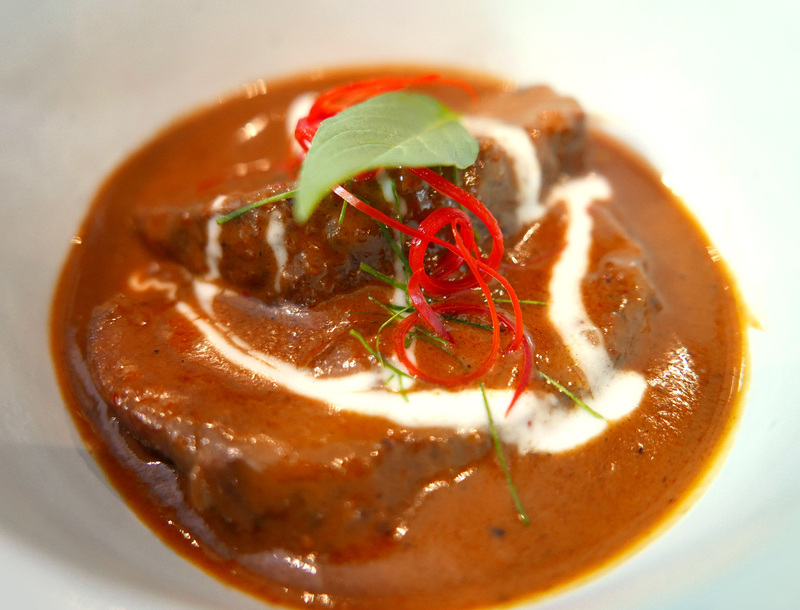 Grain fed Australian Veal cheek simmered in house blended spices , Hand pressed Coconut Milk and Kaffir Lime leaves. 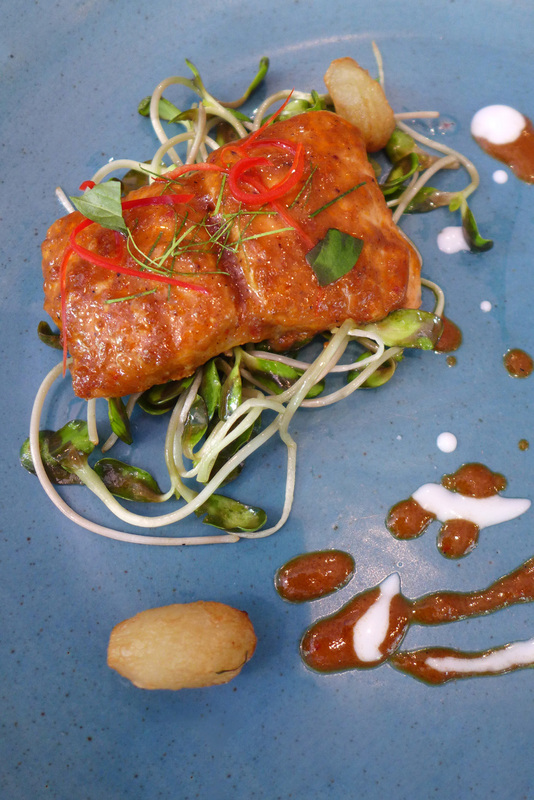 Slow cooked smoked Salmon with Jerusalem Artichokes from Chokchai farm in a home made Red Curry sauce. 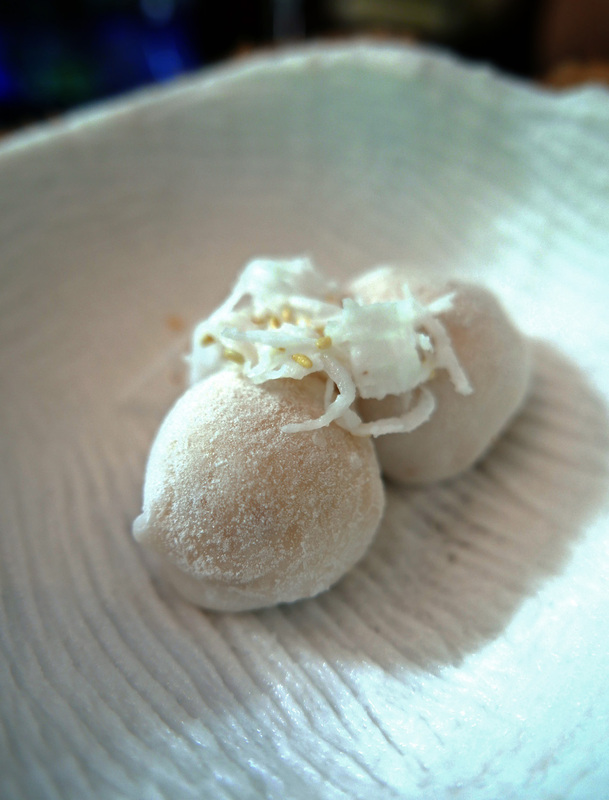 Coconut Mochi ice cream with young Coconut shavings. 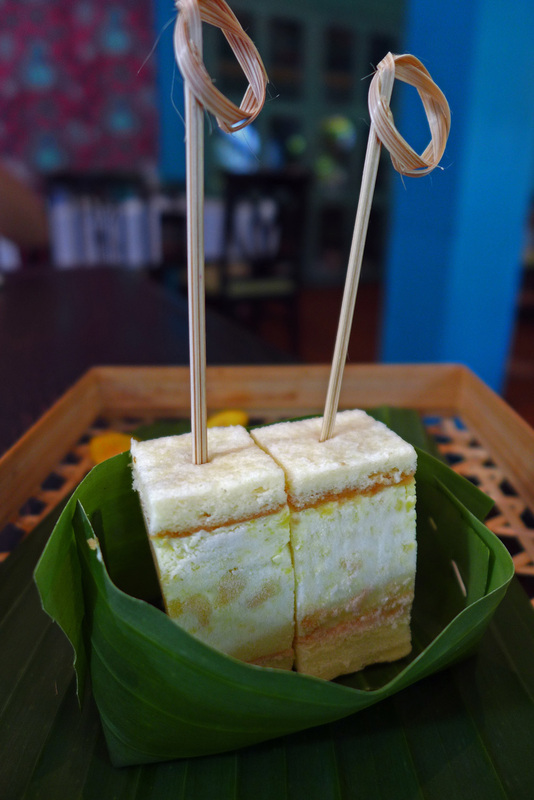 Saree – An old fashioned Thai ice cream sandwich with Jackfruit Semifreddo. 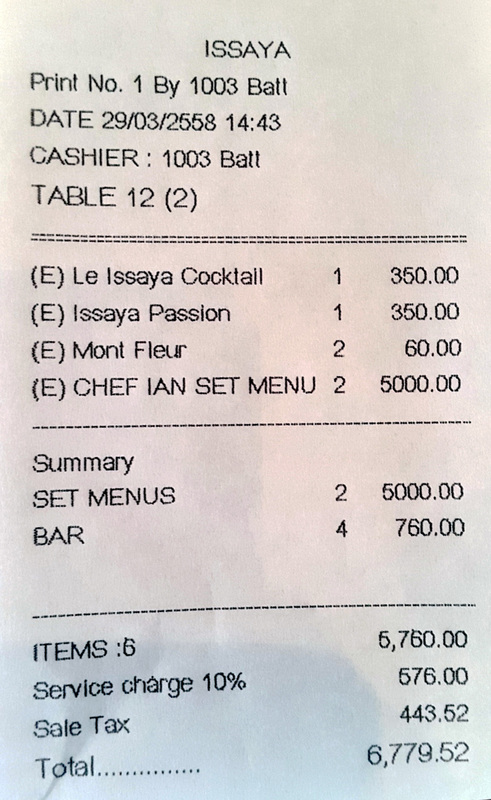 And so for the bill – Quite an attractive price for Chefs Tasting menu using prime ingredients, a decent sized Lobster, Cocktails and bottled water set us back 2,880 baht each ( £56 / $87 ). 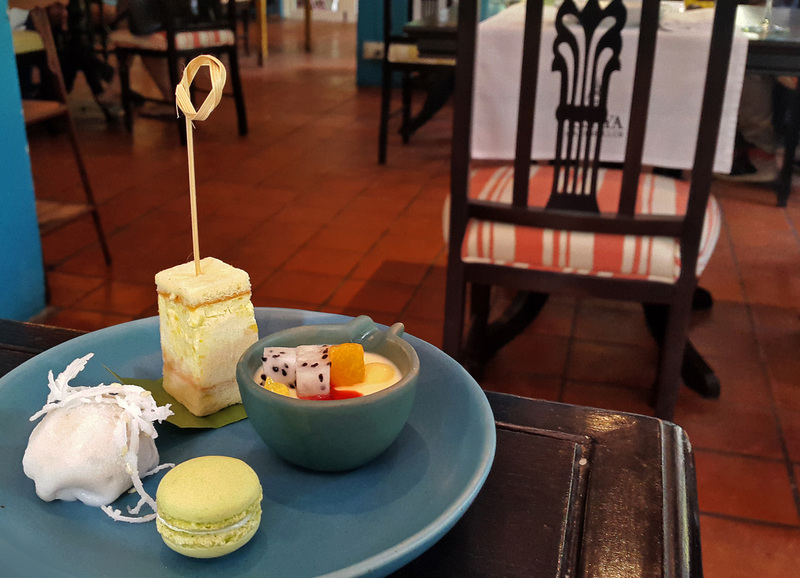 Well worth a visit to eat the food of a Chef right at the top of his game – Highly recommended. Previous Post The Inn at Ravenglass , Seafood heaven. Next Post Quique Dacosta – 3 stars in Denia , Spain..